1. Choose a time and location prior to beginning a count and record relevant information (e.g., whether your counting area is in a “rooftop garden” or “park,” whether or not it is close to a road, and whether there is a water source). 3. Watch for 10 minutes, beginning at the preselected time. Record species you observe during the count period (from the list of 16 focal species). Also record if no birds are present (this data is equally important). Data from each count is recorded on a 2-page record sheet. These sheets can be mailed in or information can be entered online. 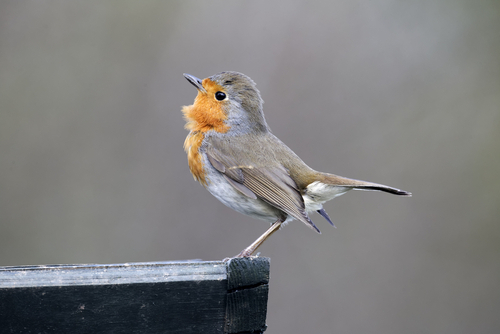 What Makes Celebrate Urban Birds Ideal for Classroom Use? Since PFW was my first experience with citizen science and with birding, it will always have a squishy spot in my heart. However, Celebrate Urban Birds offers many of the same learning opportunities while also being much easier for classroom teachers to implement. For example, PFW runs from November to April and ideally involves a weekly commitment. CUB runs year-round and involves as many or as few observation sessions as are appropriate in a given classroom situation. Counts can be done in a playground, nearby neighborhood or park, or even in the school parking lot. Observation sessions last 10 minutes, making them easier to fit into a school schedule. Short sessions make it easier for younger students to participate. 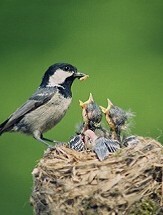 A feeder set-up is not required, making it more cost-effective and zero-maintenance. The project follows only 16 species, making it much easier for beginning birders. I recommend introducing your students to the different birds prior to your first count session. CUB offers a PowerPoint presentation showing all 16 species. 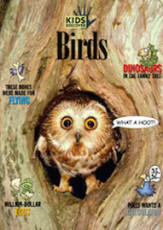 Also, have a bird book on hand so students can look up which species are present in your region. 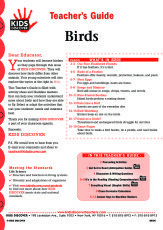 Here are a few ideas for using Celebrate Urban Birds in other areas of instruction. Count locations are to be the size of half a basketball court or less (50 feet x 50 feet). You and your students can measure out the size exactly or estimate. Make a chart comparing lengths of the 16 birds (beak to tail). 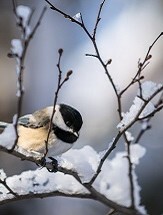 You should be able to find this information in a field guide or at Cornell Lab’s All About Birds website (see link below). Have students investigate, “detective-style,” how house sparrows, European starlings, and rock pigeons came to live in the United States. Give them a chance to report their findings to the class. Have students or groups of students create reports on each of the 16 focal species. Have each student keep a field journal for the duration of your study. For more on field journals, see link below. Have students use the information from their field journals to create a finished art piece. Provide students a choice of media (crayons/markers, collage, paint, etc.). Have students create a mural (on a large sheet of paper) of your count area, including species seen over the course of your participation. When I teach beginning birders, I have them focus on three things—size relative to a bird they already know (I typically use a robin), color pattern (have them focus on notable markings—it’s hard to keep the whole bird’s colors in your head), and beak shape. Since Celebrate Urban Birds focuses on just a handful of species, this should be enough to narrow things down.